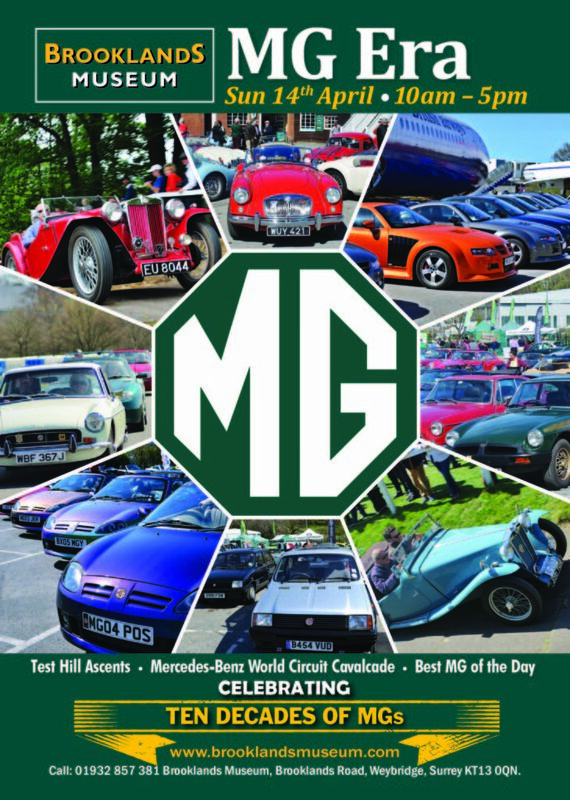 The MG Car Club will once again be attending MG ERA at Brooklands Museum on Sunday 12th April. 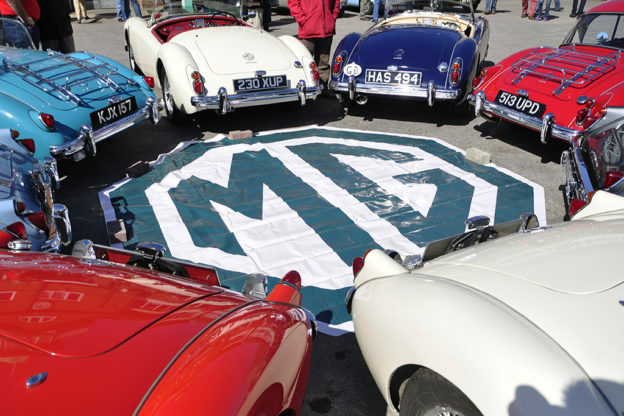 MGs of all types and ages are welcome to this event, where Brooklands Museum celebrate one of Britain’s great marques. 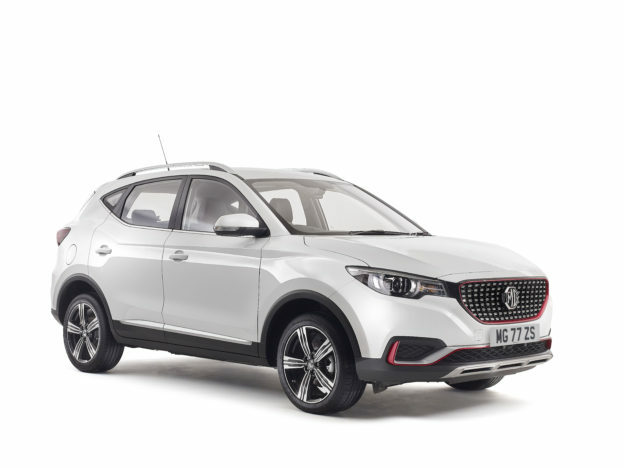 This year, Brooklands will be celebrating 10 decades of MG, from “Old Number One” to the present day. If you have an MG road car or competition car then please bring it along and show it off to the thousands of visitors who come to the event. 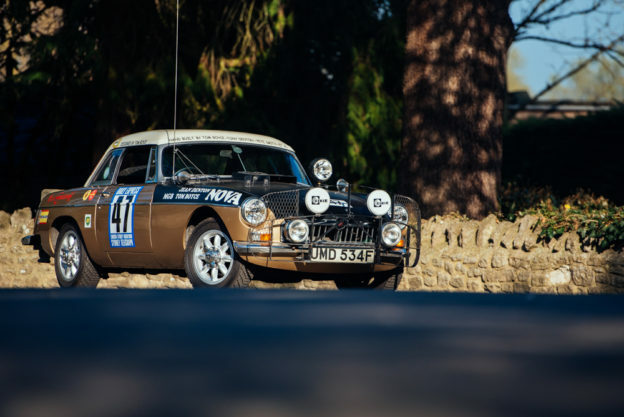 At lunchtime, there will be a chance to see some of the cars as they parade around the circuit at Mercedes-Benz World, with ascents of our famous Test Hill during the afternoon. 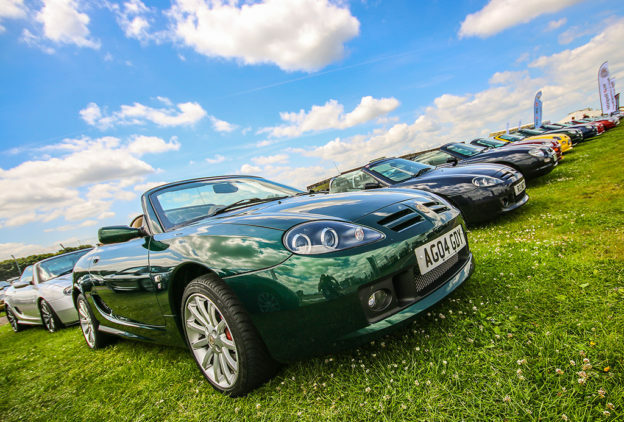 During the day, there will also be running a Concours competition where the museum will be looking for the “Best MG of the Day”, so why not see if your choice of car matches that of the Judges? As part of an essential fundraising programme to safeguard the future of Test Hill, Brooklands Museum are asking for a voluntary contribution from everyone who wishes to take part in the ascents and are suggesting £5.00 as a suitable contribution. More details will be available at the signing-in area – Thank you.